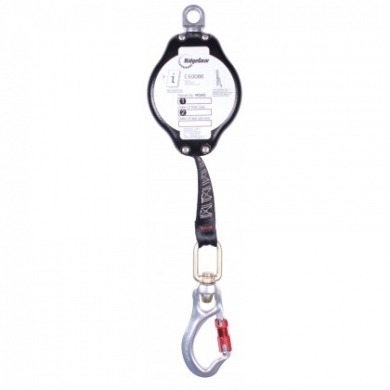 The RGA5 is a compact, robust yet lightweight fall arrest block. This unit does not have an integral handle, but is fitted with an alloy swivel eye for connection to an anchorage via a karabiner. Due to its low weight, this device is ideal for use with certain horizontal lifelines. As a general-purpose fall arrest block, the RGA5 has proved its worth in the industry. Fitted with webbing instead of wire, this block is suited for work in and around fragile components i.e. ; aircraft industry and glass lined vessels. The RGA5 has been updated in November 08 and now has a working length of 5 metres.